Here are just a few of the photos we have collected over the years. I am going to include them here and try to explain the story surrounding the photos too. 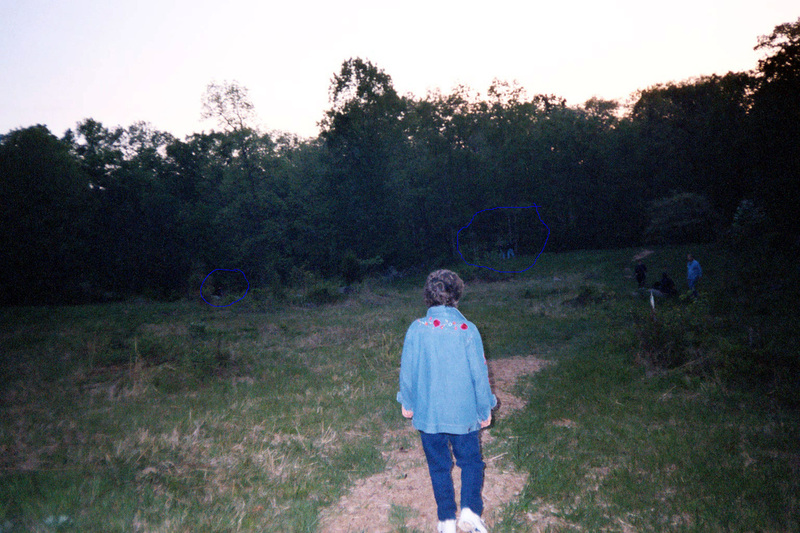 This pic was taken in the Triangular Field in Gettysburg around sunset on May 5, 2006. 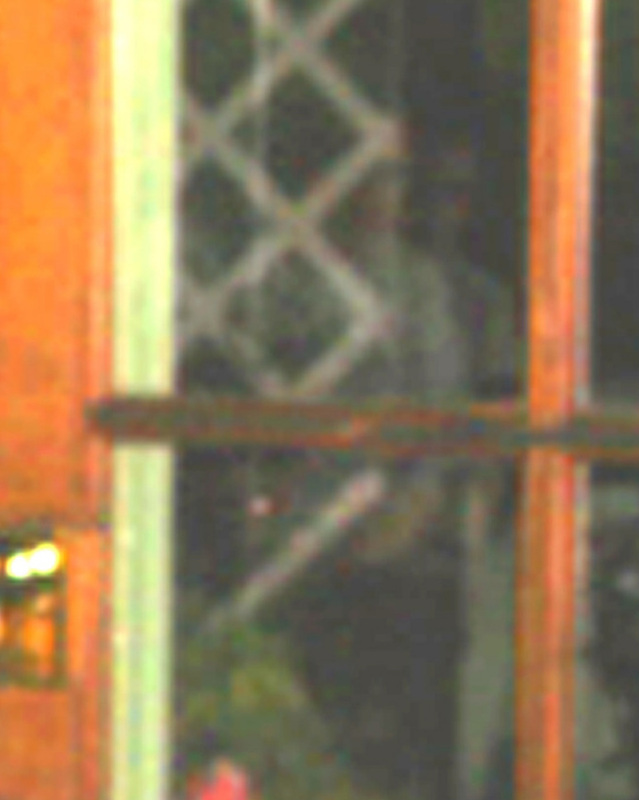 The only people seen with the naked eye were the lady in the photo and the small group to her right. The men in the uniforms near the tree line were not seen. There were no reenactors on the field at that time. Same as pic above, but we have circled some of the interesting areas. An enhanced photo from above. We added nothing to this photo. 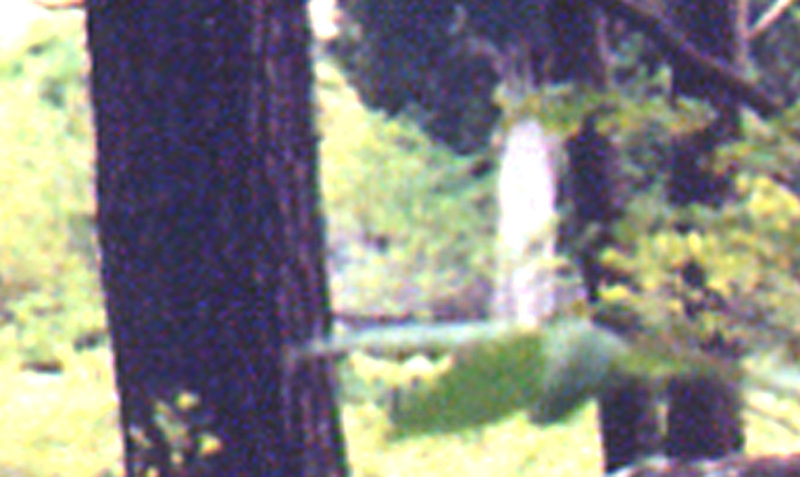 We only zoomed and lightened the color. This photo was given to us by a friend of ours. 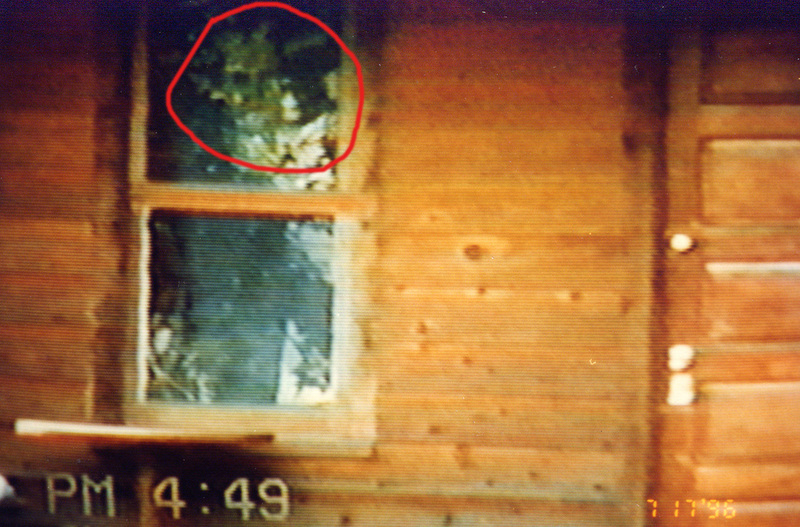 It was taken in 1996 at a cabin in the woods. We promised that we wouldn't give any more information. This photo was taken at the amazing Baladerry Inn in Gettysburg. In the photo are myself and my friend Shannon. Robin L was taking our photo during one of our weekends, and she captured something in the doors behind us. The figures are outside the windows on the set of doors to the right of my magnificent head. 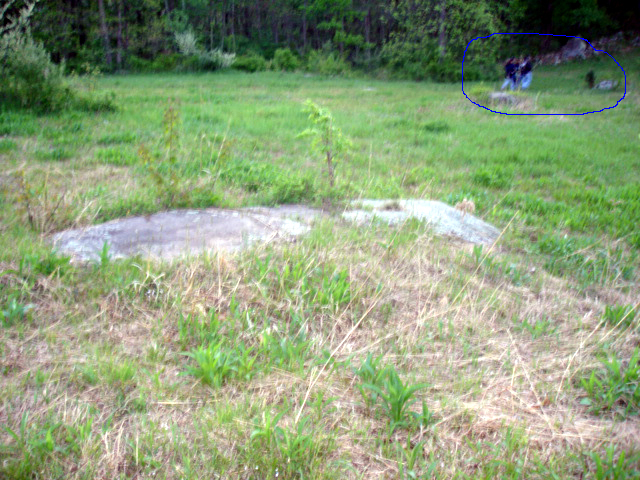 This photo has appeared on a tv show about hauntings in Gettysburg. This photo seems to capture two Confederate soldiers. You can see their hats, faces, high collars. They seem to be looking into the window and watching us. There was nothing inside the Baladerry Inn that this could be a reflection of. The Baladerry Inn was used as a hospital during the Battle of Gettysburg and for a short time after the war too.